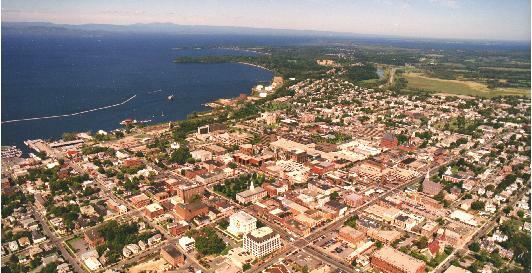 The City of Burlington with a population of 42,282 (2012 U.S. Census Bureau) is the largest city in the U.S. state of Vermont. The city’s power needs have been served since 1905 by the public utility Burlington Electric Department (BED). BED is directly governed by a five-person Board of Electric Commissioners, who are selected by the City Council and Mayor of Burlington to serve three-year terms. Commissioners volunteer their time and expertise to advise BED staff and set policy. 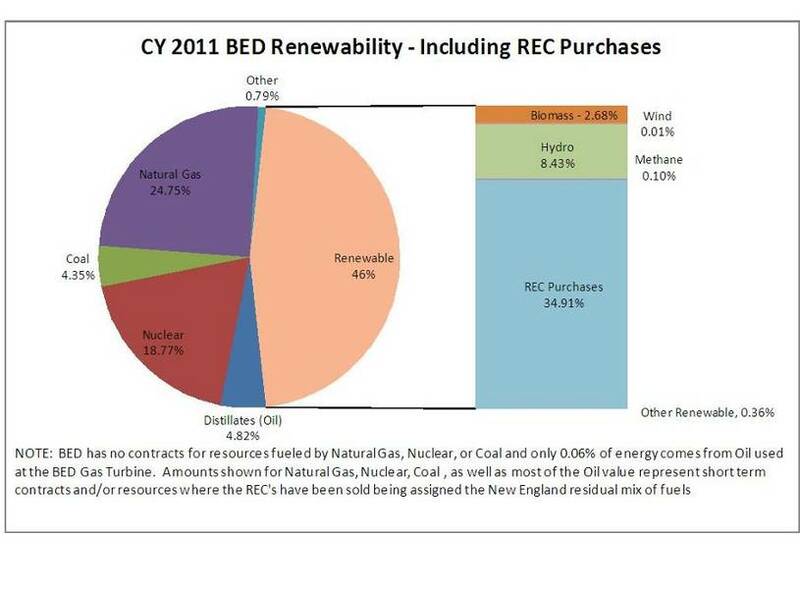 In 2011, 46.51% of BED’s power supply came from renewable sources that the utility either owned or for which it held contracts. In September 2014, BED reached its aim to own or purchase enough power generated by renewables to cover the equivalent of 100% of the demand city-wide. That renewable power mix comes from a variety of sources. One is biomass, the vast majority of which was produced by the 25 MW McNeil wood burning facility, of which BED owns 50%. A catalytic reduction device on that facility greatly decreases NOx emissions. A small percentage of the renewable electricity mix comes from the 16 MW Vermont Wind Project in Sheffield, VT. BED is contracted for 40% of the wind farm’s output from 2011-2021. 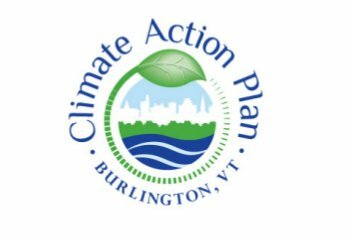 In September 2014, the City of Burlington completed its purchase of the Winooski One Hydroelectric Facility, a 7.4 megawatt plant located on the Winooski River at the edge of the city, an action supported by 80% of city voters. The facility was built by private owners who gave the city the option to buy it in March 2013. Various other hydro projects of different sizes, landfill methane and other renewable sources made up the rest of the city's renewable power portfolio. On its way to achieving its 100% renewable power goal, BED acquired short-term contracts for most conventional energy sources (natural gas, nuclear, coal), which have made it easier for the utility to transition to renewable sources as they became available. BED's 22 MW gas turbine, which runs on fuel oil, has only been used for peak power needs and totaled only .06% of BED’s energy mix in 2011. BED’s integrated resource plan allows for the sale of the right to claim renewability, called Renewable Energy Credits or REC’s. According to BED, this allows greater control of rate impacts of purchasing renewable resources (which are generally more expensive than the non-renewable alternatives). BED compliments its renewable energy portfolio with energy efficiency programs, which have been financed by the utility and Burlington citizens. In 1990, Burlington voters approved a 11.3 million dollar bond fund to be used for energy efficiency improvements through the year 2002. Since 2003, all Vermont electric customers pay a small monthly Energy Efficiency Charge (EEC) that supports efficiency programs. In total, approximately $30 million has been invested in BED's energy efficiency efforts over the last 19 years. This includes about $13 million spent by BED and another $17 million in matching expenditures by customers. The result of these efforts have been a minimal increase (only about 2%) in annual electricity consumption from 1989 - 2009 and annual retail electric cost savings of $10.1 million. The investment in energy efficiency has also paid off in added local value, including jobs, local equipment sales, and improved environmental quality. BED is additionally taking steps to integrate Smart Grid technology into its power system, beginning with advanced digital meters that allow for a two way exchange of information between the customer’s meter and the utility that optimally will allow for greater efficiency and reliability. Burlington's transition to supplying all renewable power has had positive economic impacts for the city. As the city was readying to finalize its purchase of the Winooski hydro facility that enabled Burlington to claim a 100% renewable power supply, Moody's upped the city's credit rating, stating: "The outlook change to positive from stable reflects our belief that the department will continue to reduce its exposure to the power supply market through long term contracts and diversify the power supply portfolio through the acquisition of the Winooski hydro facility. The outlook change also reflects our expectation of stable or improving debt service coverage ratios and other financial metrics." Upon completion of the facility purchase, Ken Nolan, BED's Manager of Power Resources, added, "During the time the ($12 million) bond (issued to realize the city's purchase) is being paid off, Winooski One power will be very cost competitive with BED's other market alternatives. After the 20-year bond is fully paid, Burlington ratepayers will continue to receive power for decades to come, and the only cost will be that of operating the plant."